2 Bedroom Terraced House For Sale in Wadhurst for Asking Price £325,000. 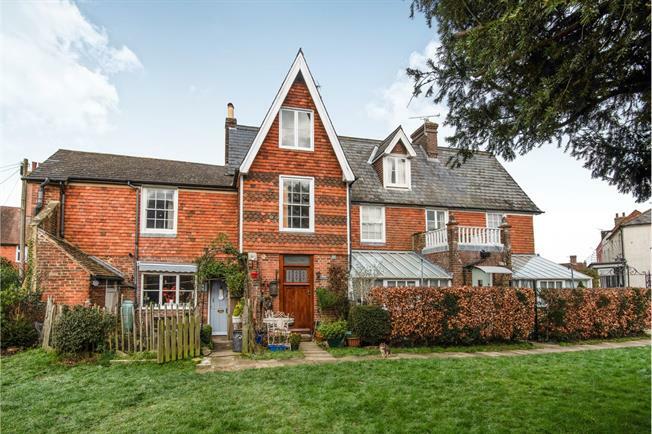 Freeman Forman are delighted to present to the market this characterful two bedroom Grade II listed cottage, situated in a desirable location with views over the beautiful St Mary's Church. The accommodation comprises of kitchen, living room/dining space and a useful under stairs storage cupboard. Stairs rise to the first floor where you will find a good sized master bedroom with views across to the church, and a large bathroom. Stairs rise again to the second floor where there is another double bedroom which is currently being utilised as another reception room. Externally the property has a charming seating area by the front door which is ideal for enjoying your morning coffee whilst taking in the idyllic surroundings. Viewing highly recommended to fully appreciate this unique property.